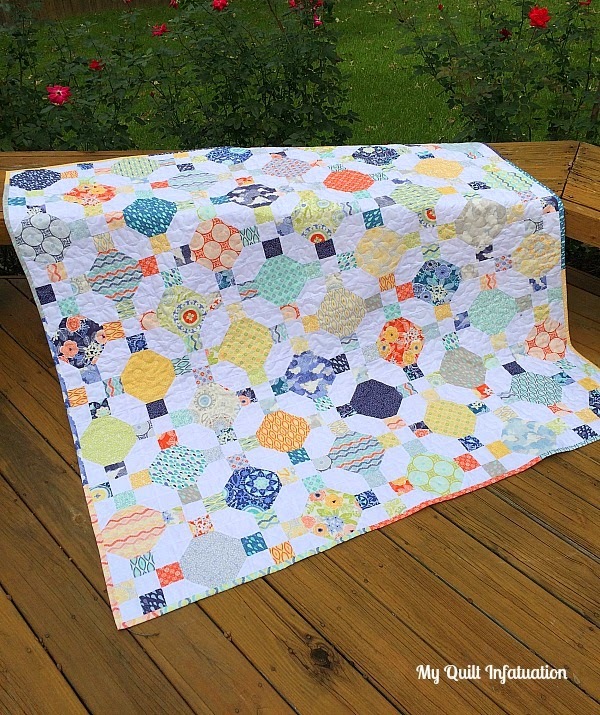 Quilt Story: Fabric Tuesday, come link up! My favorite day on our blog. Tuesday! I just love love love seeing what everyone is up to! Such a fun creative community! Also, just a note for those wanting to be featured, a great photo is as important as a great quilt, the quilt just catches your eyes more. But either way, good or not so good photos, we want you to keep sharing! Lea and Lars fireworks quilt top. 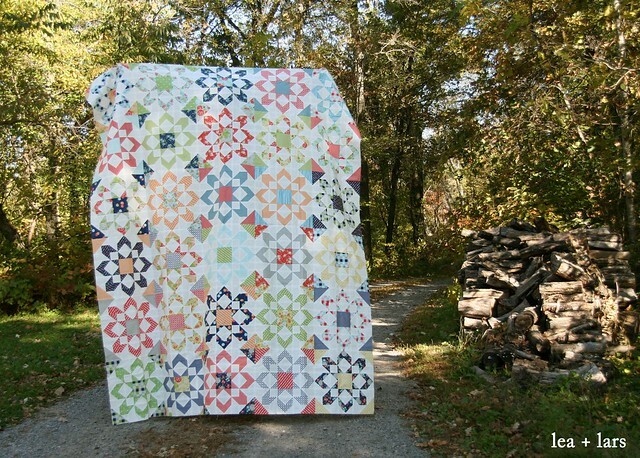 Love this quilt top. Amazing! 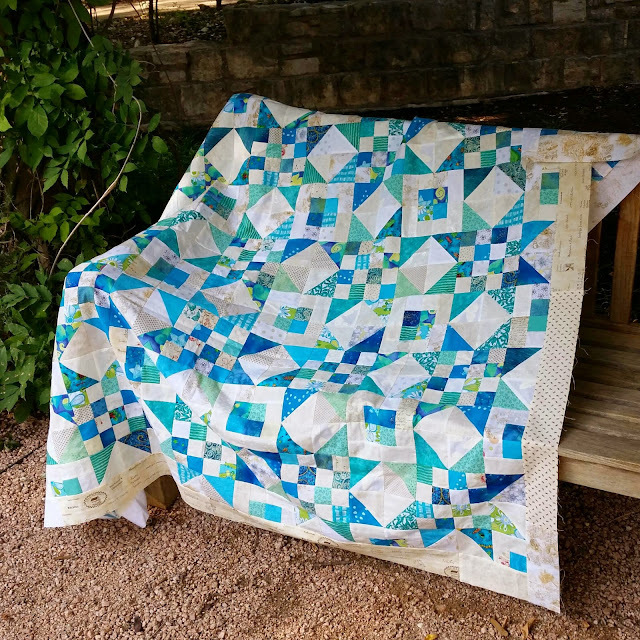 Porch Swing Quilts, make it do quilt. So pretty, calming colors. Sweet. A Quilting Chick, scrap jar star quilt. Pretty neat pattern, pretty blues. And she used up her scraps for this! 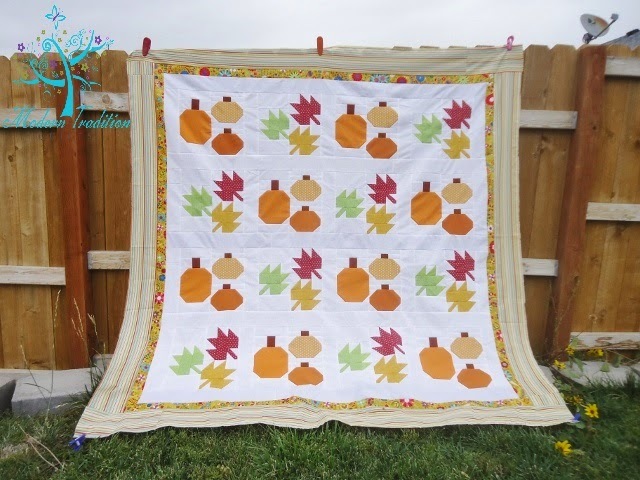 Lastly this Punkin-Wunkin Quilt, an awesome quilt along from Modern Tradition quilts. Pretty awesome! Thanks for hosting, and thanks for the feature! 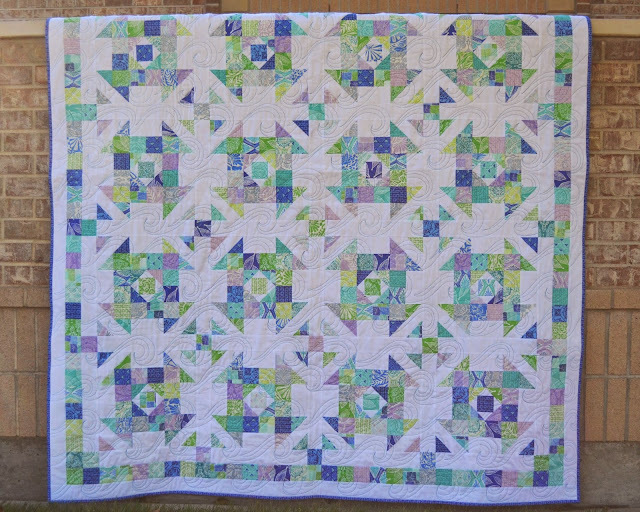 What a great forum of quilts this week. I appreciate you sharing my Punky-Wunkin Quilt. Have a great day!-Shannon with Modern Tradition Quilts. Love the weekly link ups from everyone! So much inspiration. Thanks for the feature! Whimsy House and Fabric Tuesday! Fabric Tuesday! Come link up! !